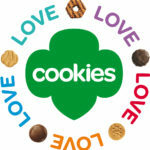 The Postal Service will salute the Girl Scouts in 2012 by commemorating the 100th anniversary of an organization credited with helping girls build character and leadership skills. The Celebrate Scouting Forever Stamp can be seen on social media and will be issued next year as part of the centennial celebration. Using social media to reach broader, more diverse audiences is an initiative that began this month to engage more interest in stamp collecting. Select stamps from the 2012 commemorative program will be previewed one at a time throughout the summer. “Celebrate Scouting, the ‘sister’ stamp to the 2010 Scouting stamp, pays tribute to scouting organizations for the opportunities and pleasures they have provided millions of youths worldwide,” said Stephen Kearney, manager, Stamp Services. The stamp features the silhouette of a girl with binoculars looking into the distance. A scene within the silhouette features a girl in mid-stride with a walking stick and backpack on a summer trek. The environment is composed of large redwoods, a lake and a distant forested mountainside with small ferns in the foreground. The sky has a dramatic blue gradation as it appears in early morning or late evening. The stamp art was created by Craig Frazier of Mill Valley, CA, under the guidance of art director Derry Noyes of Washington, D.C.
Next year’s stamps previewed thus far using social media include the Cherry Blossoms Centennial, Edgar Rice Burroughs, Love Ribbons, John H. Johnson, Bicycling, Celebrating Lunar New Year: Year of the Tiger and the Holiday Celebration Santa and Sleigh stamps. We are devastated by the catastrophe in Japan and, on a personal level, are deeply concerned about our sisters there, the Girl Scouts of Japan. USA Girl Scouts Overseas has served American military and civilian families in Japan for many years, and has extremely close ties with Girl Scouts of Japan. In fact, many of our overseas troops and Girl Scouts of Japan are sister troops. We have received many calls from Girl Scouts around the country asking how to help and are happy to report that the policy that prohibits Girl Scouts from raising money for other organizations has been temporarily suspended. To contribute to earthquake and tsunami relief efforts, you can make an online donation to the newly established Girl Scouts of Japan Relief Efforts. At times like these, Girl Scouts throughout the world come together in sisterhood to help those in need. We have seen our Movement rally in support of the victims of Hurricane Katrina and other natural disasters over the years, and will continue to do everything we can to help our sister Girls Scouts of Japan in the weeks and months ahead. Girls are also encouraged to send expressions of friendship to their sister Girl Scouts in Japan by making origami cranes (Sadako). For instructions, see YouTube videos. The Girl Scouts of Japan made and mailed thousands of these cranes to the United States as an expression of peace and friendship after the September 11th tragedy.